Contact us to order any of the parts. 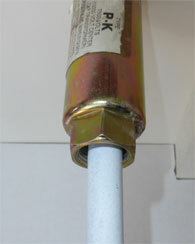 Housing Cap onto the neon tube. Housing from the back side. Electrode Boot onto the GTO neon wire. 6. 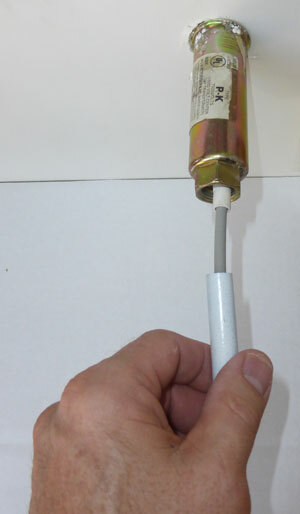 Connect the GTO neon wire to the neon electrode. 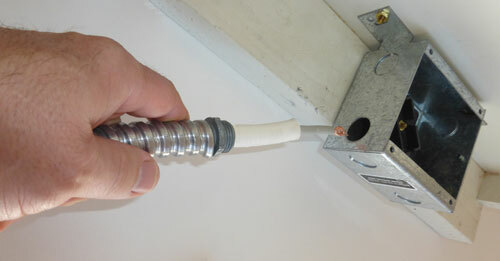 Electrode Boot onto the neon electrode. 8. 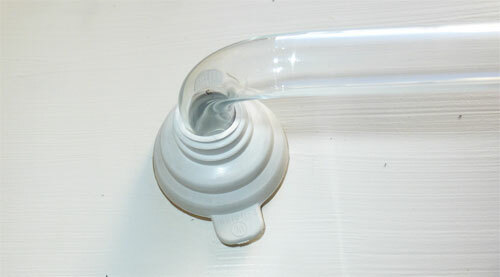 Insert connected neon tube into the PK type Glass Housing. place.This creates a UL Listed wet-location connection. 10. Secure the neon tube to the tube supports. 11. Backside view of the installation thus far. 12. Install the metal flange. 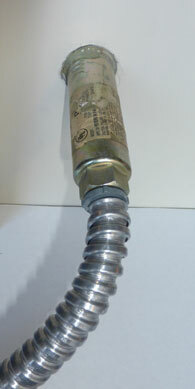 Note that the end of the One-Piece Electrode Boot sticks out the bottom of the Metal Flange. 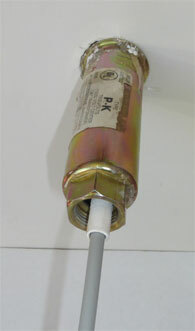 that sticks out the bottom of the Metal Flange, making a UL Listed wet location connection. 14. 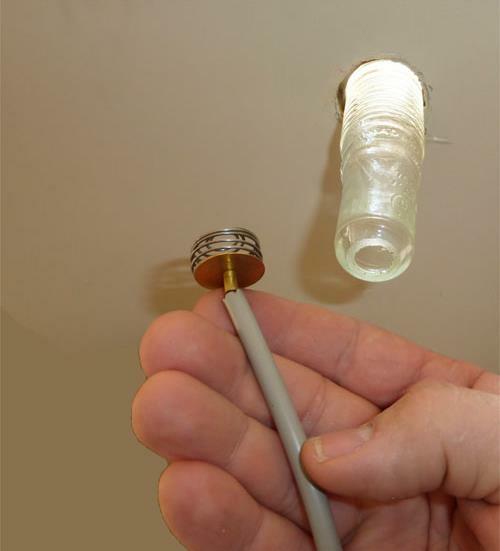 Install 1/2" Flex Conduit. 15. 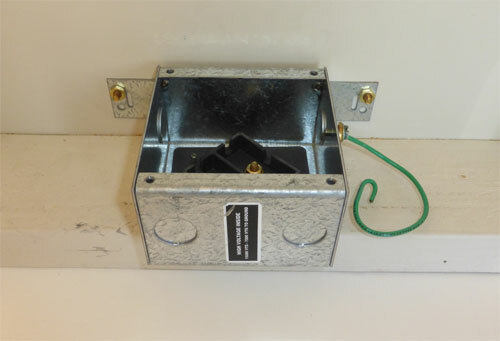 Install High Voltage Splice Box. 17. 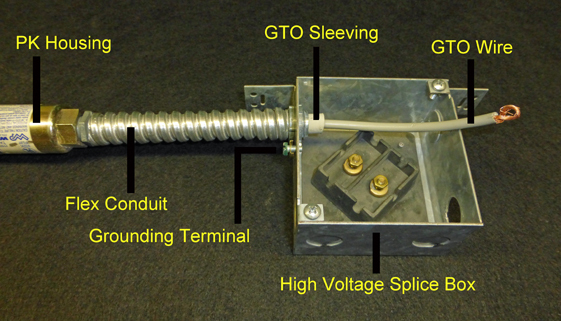 Inside the High Voltage Splice Box, cut and strip the GTO cable and install on terminal. Finally, secure cover to splice box. IMPORTANT: The Green Ground Wire on the High Voltage Splice Box must be grounded back to the Main Service Panel using #14 green wire. 1. Remove the existing neon tube. Discard the GTO cable and internal PK electrode spring. Verify the neon unit is good. 2. Install Masters Technology's Housing Cap part #MT-GHC200 or #MT-GHC303. Ref: NEC 600:(42):(G). 3. 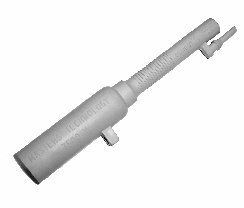 Install Masters Technology's One Peice Neon Electrode Insulator Boot #MT-1PB. Available in 10mm, 12mm, 13mm and 15mm sizes. 4. 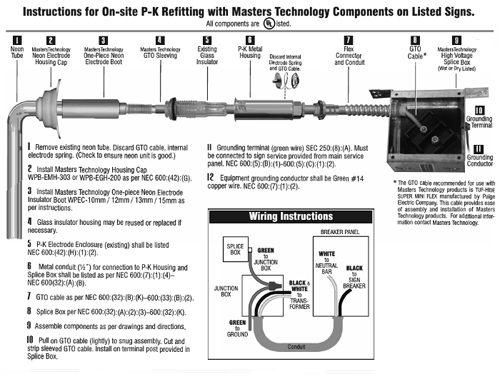 Use Masters Technology's GTO Sleeving. 5. 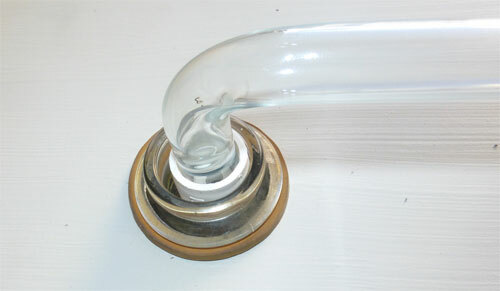 The PK "glass insulator housing" may be reused or replaced if necessary. Ref: NEC 600:(42):(H):(1):(2). 6. 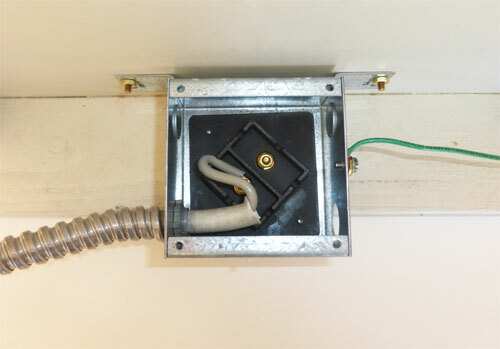 Use 1/2" metal conduit for connection of PK Housing to Splice Box. Ref: NEC 600:(7):(1):(4) - NEC 600(32):(A):(B). 7. GTO Cable. Ref: NEC 600:32):(B):(K)-600:(33):(B):(2). 8. Splice Box. Ref: NEC 600:(32):A):(2):(3)-600:(32):(K). 9. Assemble components as per drawings and directions. 10. Pull on GTO Cable (lightly) to snug assembly. Cut and strip sleeved GTO Cable. Install ontyo terminal post provided in the Splice Box. 11. 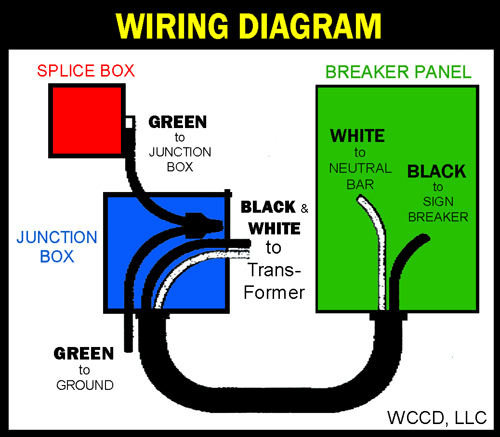 IMPORTANT: Ground the green wire (located on the Splice Box) back to the main service Breaker Panel. Ref: NEC 600:(5):(B):(1)-600:(5):(C):(1):(2). 12. Equipment grounding conductor shall be Green #14 copper wire. Ref: NEC 600:(7):(1):(2). Individual 10-Pack - "Black Only" $48.90 ea. Individual 10-Pack - "Black Only" $46.90 ea. Individual 10-Pack - "Black Only" $52.40 ea. "UL Listed - Wet Locations" product. Manufactured from the highest quality materials including the proprietary #3000 Polymeric Blend. This blend was developed through extensive research, testing, and field evaluations. These provide dependability, good flexibility low and high temperatures, the highest flammability rating 945V, 17000 VT, dielectric withstand, and excellent weathering properties. This system of products have been awarded patents in the USA and Canada and have both UL and CSA Listings. Their unique design facilitate installation, increase product safety, reduce lighting failures as well as lowering customer service call-backs. Individual 10-Pack - "Black Only" $43.90 ea.